USE THE RIGHT TOOLS – When you use the right tools you are giving you and your child the best chance for SUCCESS! 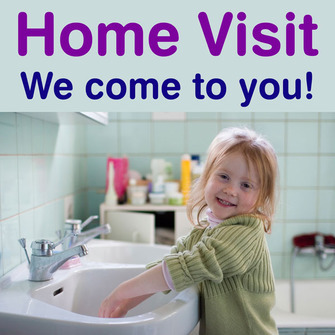 Through years of research and toilet training literally thousands of children around Australia, we know what to do. We know the BEST tools to use that will effectively give you the BEST results in the QUICKEST amount of time. START EARLY – You can start as early as 14 months with this system. Please note, you can start earlier with your child. There is a different system for starting an infant <12mths. 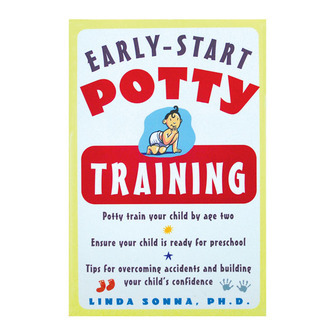 START WELL – Teach the correct way to toilet train from the beginning. Most problems are created by us, the parent, because we didn’t know what to do the first time. Simple errors like asking your child if they need to go. This one question can delay toilet training for months! Prevention not the cure! You pay - with interest - big time dealing with the cure later on. Just don’t create the problem in the first place – EASY! Know what to do = Start well. OVERCOME EXISTING PROBLEMS – If there are already bad habits established – refusal, poo problems, running away to hide to poo, etc, then you are given the game plan to overcome. GUARANTEED SYSTEM - We will toilet train your child or your money happily refunded. FULL SUPPORT - expert advice for your personal situation. SAVE THOUSANDS of dollars in nappies. At $100/mth you are spending in nappies, it is a huge saving! CLEAR STEPS TO FOLLOW - Includes the No More Nappies Workshop DVD to train and guide the parent. 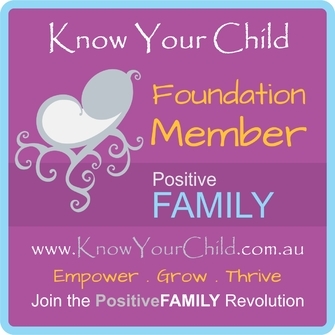 KNOW YOUR CHILD - Helps parents understand their child's strengths and weaknesses. EMPOWER YOUR CHILD – Give your child the chance to win by using strategies that work. Do the wrong things and you teach your child the wrong things and you get unsuccessful results. UNDERSTAND WHY? 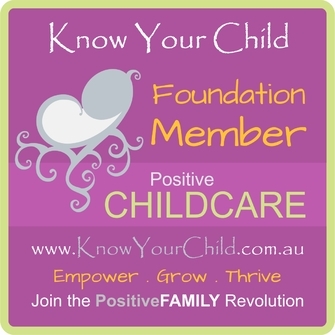 – Gives you solutions because you now understand the "why" behind their child’s actions. This can be applied to all aspects of parenting. Inclusions Workshop DVD With Instructions For the Parent; Dumpy & the Gang Toilet Training Adventure (Paperback); Toilet Yum Yums 20 Pack; Toilet Tickets; Routine Chart; Dumpy the Dumpy Truck Toilet Game; Dumpy & the Gang Matching Stickers; Hardcopy Instructions plus 1300 Support. Use this amazing system to either start and finish well, or overcome existing problems like the Poo Challenge. You can actually toilet train in days, even from 18 months! Click here to see what our Raving Fans have to say. 1. Parent Module - Downloadable file - Explains the overall approach to Getting Started, Getting Prepared, Finishing and Night Training. Includes overcoming key problems like the Poo Challenge with the latest research on toilet training to help provide an understanding of 'why?" you may be experiencing the "battle of wills", along with the BEST age to start toilet training. 2. Trouble Shooting - Downloadable file - Included on the DVD is a Trouble Shooting section to provide an overview of key challenges like the Poo Challenge, Refusing to Go, Regression, etc. 3. 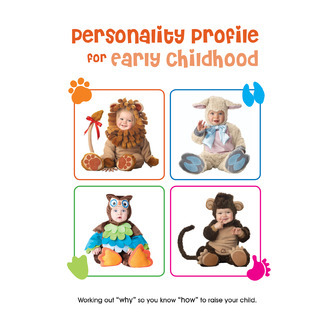 Personality Profile Test For Early Childhood - PDF file - By answering the questions in this Personality Test you will discover if your child is a Courageous Lion, Loveable Lamb, Cheeky Monkey or Wise Old Owl. 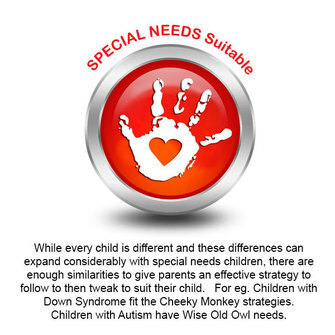 This is the foundation for success and helps you get a true understanding of your child's needs, their strengths and weaknesses. Imagine the power in knowing this information about your child now at the early childhood phase to tailor your parenting to help your child be the best little champion they can be as they grow. 4. 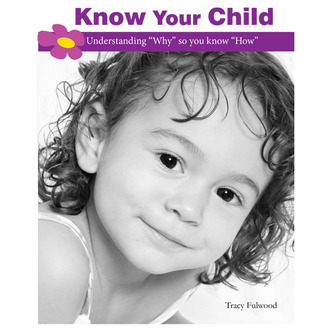 Know Your Child ebook - Downloadable file - This amazing rescource covers your solution for success, not only with toilet training but with all aspects of parenting. Once you discover your child's unique personality from the Personality Test, the Know Your Child resource provides the key strategies to follow. You get four strategies for each personality. It really is a science. While every child is different, there are foundational similarities and traits that shine through. Then it is simply a formula to follow to fulfill your child's needs. A dedicated approach to your child will give you dedicated results. Give your child what they "need" not what they "want" and you will see the power in these simple, everday details that will not only have your child toilet trained quicker, but provide the foundation for every other area for parenting your child. 5. 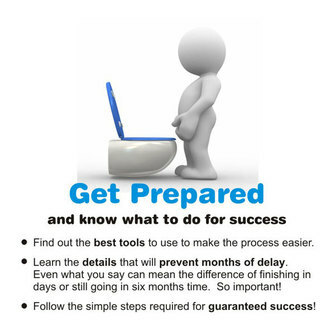 Support Manual - PDF file - The details you need to follow from Getting Prepared, to Getting Started to Night Trainng. This is a printable where you go to tick off the list to follow to ensure you don't miss a thing. And that is the exicting thing, all you need to do is follow the steps to success. 6. Parent Module Transcript - PDF file - For those of you that love information and prefer to read, the DVD transcript is available to ensure nothing is missed. Don't worry about taking notes, it is all there to read at a later date. 7. 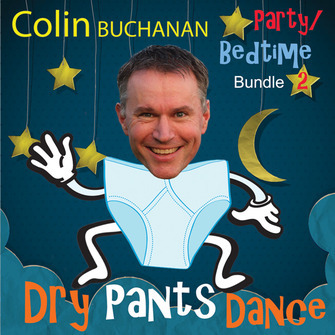 A Smelly Song - Downloadable file - Pop the CD into your CD player or add it to your iPod/iPhone to make pooing fun! Mr Poo is too scared to come out of the bottom and so the musical begins, with all the body parts joining in the fun to encourage Mr Poo to go to the Poo Resort in the Toilet. Refocus, make it fun is the key to overcoming the Poo Challenge and this song is a great tool to sing your way to poo on the loo! 1. 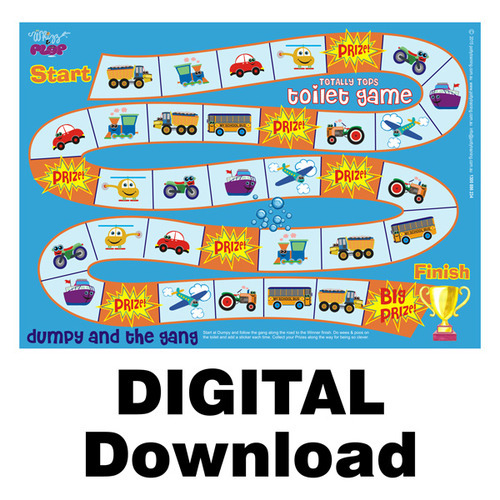 The Dumpy & The Gang Toilet Game - Downloadable file - Wees and poos boring, playing a game fun! What fun means to your child makes all the difference as well. For eg. Once you know the personality of your child using the Personality Test, you will discover, same game, but your child will take something different from it according to their needs. A Wise Old Owl will love the STRUCTURE AND ROUTINE of being slotted into game, while the Cheeky Monkey just wants to have FUN. A Courageous Lion will want to WIN the game, where the Loveable Lamb needs a LOT of help with EXTRA MOTIVATION to go. This is how you dedicate the system to suit your child so you go quickly. 2. The Dumpy & The Gang Tokens - PDF File- Familiarity and fun! Every child loves tokens, and to have the personalised tokens from the characters in the fun children's book they just read, it makes them even more meaningful. Each character has a special empowering statement on each token as well to help you encourage and praise your child. What this means is, your child is more encouraged to play the game because of the psychology of familiarity with the characters and the fun involved. This makes it even easier for the parent to use the tools for success. 3. The Dumpy & The Gang Children's Book:Toilet Training Adventure -PDF file - This introduces all the characters in the Totally Tops Toilet Game to help your child relax to go. This is a great tool to help you work with your child to make the whole process fun. Each character has a name and each character teaches something to do with toilet training. 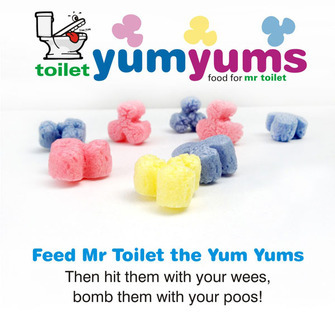 This is where your child will learn about Toilet Yum Yums and how much fun it is when Bella Butterfly "bombs them with her poos!" Buzz the Bee introduces the VIPee / VIPoo pass to go. 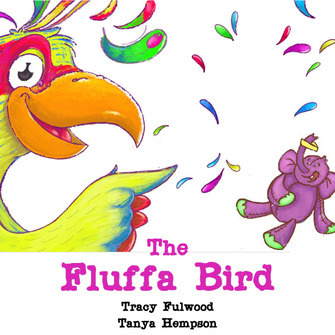 Having a tangiable tool to work with means you can refer back to the book and use the characters in third person to encourage your child to go. eg. "Let's be big girl like Bella Butterfly and bomb those Yum Yums with our poos! Quick, race you to go, see who gets there first!" 5. Toilet Tickets - PDF file - Your VIPee / VIPoo Pass to go! Introduced in the children's book by Buzz the Bee, you can buzz like a bee down the hallway to the toilet to go. Is it VIPee or VIPoo you need? Tickets please! 7. Routine Chart - PDF file - To dedicate the system to your child to eliminate hit and miss. Using this tool you can work out your child's bladder size to get them there at the "right" times for them. This provides a quicker way to go as the more success you have the quicker your child can identify what their body is doing to gain independence. 9. Full support via 1300 number / Email / Facebook - You don't have to do this on your own. We are here to help. Often you are details away from success. Once we know the personality of your child, it is simply a formula to follow that works. For fear of the mess on top of your head. Let Dumpy and the Gang take you on a toilet training adventure that is not only loads of fun, but teaches you the success principles you need to know to toilet train quickly and effectively. You just need to know the simple details that work! 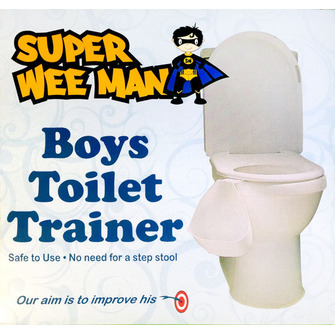 100% GUARANTEED to Toilet Train Your Child or Your Money Back. Includes Full Support. In fact this system comes with 10 guarantees. 2. Give you full phone and email support included in the price. 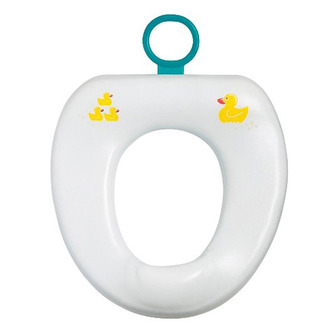 EARLY toilet training is the key to stress-free, poo-problem-free toilet training. You can toilet train before two years old with this system. Come and join the Pottytraining.com.au and we can help! YOU HAVE THE BEST TOOLS TO GET THE JOB DONE! Bella & Friends TOTALLY TOPS TOILET GAME includes a wonderful children's book introducing all the characters to personalise the toilet training process. Teach and have fun at the same time by literally turning toilet training into a game. Forget boring toilet charts, think like a child instead. Grab your cool Toilet Ticket with Buz the Bee and buzz to the toilet with your official VIPee / VIPoo pass to do wees and poos. Your little girl won't be able to resist, all combined together in the Bella the Butterfly Toilet Game with your matching Bella & Friends Stickers. This is how you can toilet train an 18mth old girl in just days. It is just too much fun to ignore! The good news is if your child is over 2 years old already you can finish in days as well. If you have already started and created some bad habits, maybe a Poo Challenge - running away to hide to poo, wanting the nappy onto poo, holding onto the poo - one or more of these traits - extremely common after 2 years old - then we can overcome this as well - even in days. The system is that good. We teach you to understand your child's personality so that you can dedicate the system to suit your child and the specific circumstances you are facing. Every child is different, but once you know "why" your child is different then you hold the power of knowledge in your hands. WHAT IS YOUR CHILD'S PERSONALITY? Do you have an "I do it" independent, get out of the way I'm coming through child? Or maybe a playful "whirlwind" look at me, I need lots of attention child? Or the more serious and cautious, scared of change, assess the situation and then proceed child? Or the last and the hardest to toilet train out of all the personalities.... the laid back, she'll be right mate, don't care if I am wet or dirty and very happy to sit in my dirty nappy all day if you let me thanks Mum, but stubborn child? This is the secret formula to guaranteed success that we teach you. Once you know this integral information, it will help you with all aspects of parenting. You will know how to work with your little angel. 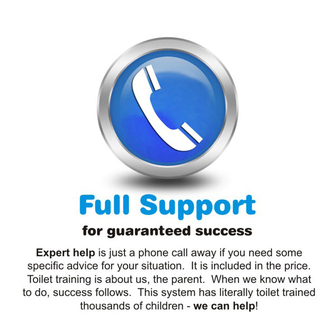 What you say and do can either delay toilet training for months, or have your child finished in days. Toilet training is about us, the parents. If you understand "why" your child is doing what they are doing, you then have a solution and a game plan to follow. 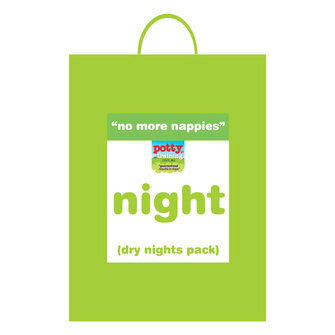 With the informative "No More Nappies" Workshop for the parent + routine chart to work out your child's bladder size - this pack will do the job quickly and with a lot of fun along the way. You are taught when to get your child to the toilet at the right times to avoid the hit and miss approach with delays for months. You understand your child's personality from the videos and you know then what to say and do to speak your child's language. This is how you can overcome existing problems. This is how you can start and finish well. This is how you can toilet train in days. You know what to do, how to work with your child. Your child is just having loads of fun playing a game full of butterflys, fairies, birds and flowers. Everything a little girl loves. 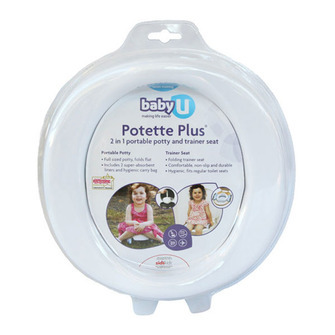 Our Ultimate Toilet Training System provides an economical way to get the extra things that will help make toilet training easy. All you are doing is swapping next months nappy spend and you are getting the tools to cover day, night, wiping and a whole heap of fun! It is actually cheaper than a months worth of nappies that you will continue to spend next month, then the next, then the next..... You can cover day and night with the Girls Just Want To Have Fun Pack as a more economical way to toilet train your child. PLEASE NOTE THIS PRODUCT IS A BIG DOWNLODABLE FILE (2.3GB) We dont recommend to download if you don't have Broadband. Also not suitable for Smartphones. We turned to the Ultimate Toilet Training System in desperation for a Courageous Lion with a poo problem. We found the survey and 'Know your Child' information excellent and spot-on. It really helped us to know exactly HOW to approach the problem. The difficulty was that our child got extremely upset when I started reading the Dumpy story to him. He's 3.5 years old and knew exactly what I was up to and did not want a bar of it. Luckily the game appealed to him as he could win prizes, but after several days it hadn't solved the poo problem. So we used what we had learnt in the 'Know Your Child' document and added an element - he would get to have a special chocolate if he did a poo in the toilet, but if he did it in his pants or on the floor and we had to clean it up, we would get to eat the chocolate. After the first poo in his pants, his father ate his chocolate, and we haven't had any accidents since - it's worked. We found the information about our child the most useful part, and we have recommended it to other people for this reason; we just needed to adapt the other parts for our child, and it worked!